Samantha Riggs is an established and well regarded leading junior advising and defending corporate and individual defendants in complex fraud and regulatory investigations and prosecutions; with extensive experience in environmental crime and expertise in waste management/environmental permitting and statutory nuisance, in particular. 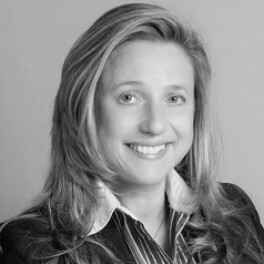 Samantha often advises pre-interview/pre-charge, is accustomed to taking a pro-active approach at the outset of proceedings, and is skilled in taking pre-trial challenges including legality of search warrants, abuse of process arguments, and interpretation of the Environmental Permitting Regulations. She is highly methodical in the preparation of cases with an eye for detail and skilled in disclosure. Experienced in restraint, confiscation and enforcement receivership, Samantha acts on behalf of defendants and interested third parties. With civil background and experience in appeals in the VAT Tribunal and before PINs and civil enforcement by the Environment Agency in the High Court. Other regulatory work includes health and safely, food safety, trading standards. Experienced in judicial review. Chambers & Partners list Samantha in Band 2 for Financial Crime and Environmental and perceive Samantha to be “knowledgeable” and able to “simplify things in a manner a client understands”. Samantha is listed in the Legal 500 as a leader in Business and Regulatory Crime (including global investigations) and Fraud: Crime (including money laundering and asset forfeiture. According to the Legal 500, Samantha is “very smart”. "Very good and very tough." "A great tactical player in court, and superb with clients."